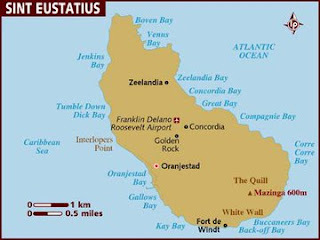 ST. EUSTATIUS/COMMENTARY – St. Eustatius, a Public Entity of the Netherlands was recently placed under direct Dutch rule after the ‘Committee of Wise Men’ concluded in its report that there is a “gross neglect of duties” on St Eustatius. The report further characterized the administrative situation on Statia by lawlessness and financial mismanagement, but the report was also critical of the Dutch Government’s role in the development of the situation in Statia. In 2009, the UK government imposed direct British rule on the Turks & Caicos Islands for three years, after evidence of government corruption and incompetence was found. This move was met with strong political and regional resistance and condemnation, but the British Government was convinced that this was the way to go and claimed that the islanders would welcome the British with open arms, the latter proved not to be entirely the case. In the case of Statia, the ‘Committee of Wise Men’ recommended this measure after reviewing published reports and after conducting interviews with 70 individuals out of a population of 3200, which is equivalent to 2% of the Statian population. The ‘Committee of Wise Men’ argued that imposing direct rule was necessary because the island government had ruled out any form of dialogue with its Dutch counterparts. The Committee further argued that such a measure would be met with accusations of “neocolonialism” but that the majority of Statians would be welcoming of this intervention, this based on consultations with just 2% of the Statian population. The dissolution of democratically elected representatives in dependent overseas territories, while striping the citizens of their voice, seem to be the applied strategy of choice when the democratically elected representatives of said dependencies start to ‘misbehave’. Both the Dutch and the UK government argued that the imposition of direct rule in their territories were in accordance with their country’s constitution. One could however argue, whether such a measure, whereby an unelected British or Dutch official assumes all power to govern at ‘will’ for a period of years in its ‘territory’ without the organization of local elections, is truly the right thing to do. Mr. Galmo Williams the former premier of the Turks & Caicos Islands until direct British rule was imposed said, “We will never be able as a nation to move forward [if] every time we reach a crossroads our rights get taken away, our freedom gets taken away.” Mr. Williams describes the problematic relation that exists between the administering power and its’ dependency, namely the belief that the administering power must rescue the islanders out of the hands of their corrupt and incompetent representatives, while at the same time reinforcing a sense of helplessness in the hearts and minds of the islanders, who usually say, “Let the Dutch/ British come” when governing and social challenges arise in the territory. Instead of imposing direct rule in Statia, a neutral third party (preferably outside of the Dutch Kingdom) could have been solicited to mediate between both governments. Or the people of Statia could have been asked via a consultative referendum, if they were desirous of direct Dutch rule. The continuous practice of stripping islanders of their voice when the dependent territory ‘misbehaves’ can not only be viewed as the exertion of power but also as a morally unjust practice.